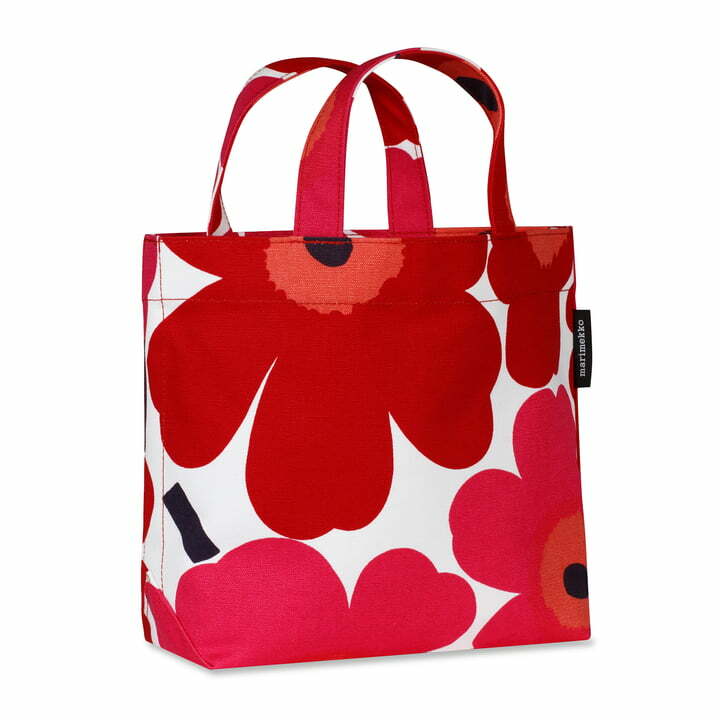 The Unikko Veronika bag by Marimekko features the iconic flower pattern by Kristina Isola and is a practical handbag or tote bag for everyday use. The shopping bag is made from 100% cotton and has two functional straps, with which you can hang the bag over your shoulder. There is a small zippered pocket on the inside of the bag in which the shopping list, mobile phone or house keys can be safely kept. Unikko, meaning "Poppy" in English, is the best known and most widely used pattern from the Finnish tradition manufacturer Marimekko. Unikko has always stood for summer, sun and good mood - as much today as it did back in 1964. 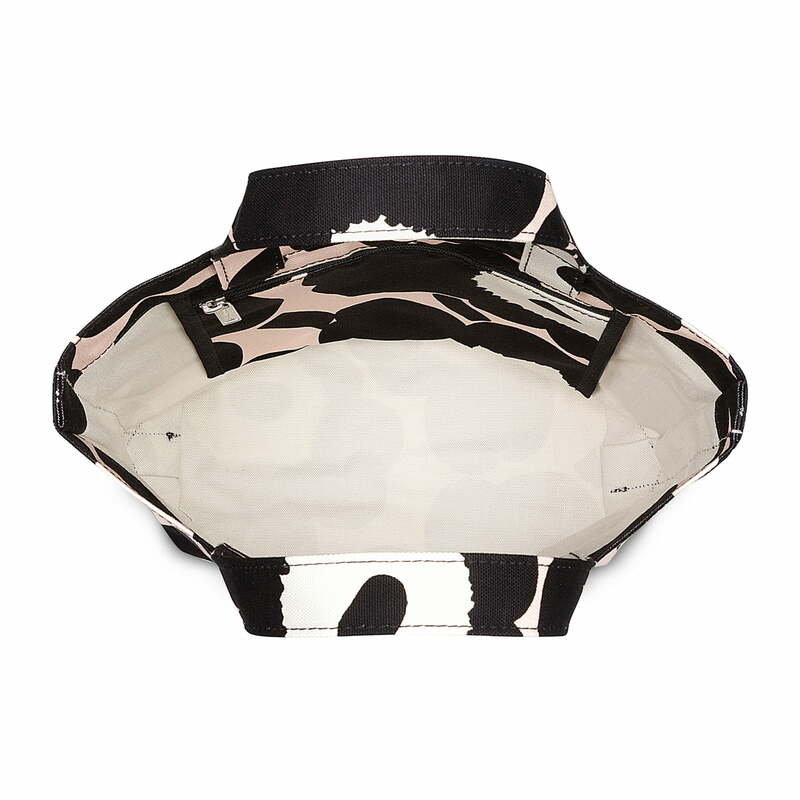 The Unikko Veronika bag by Marimekko is available in different colours. It can be washed in the washing machine at 40°C.